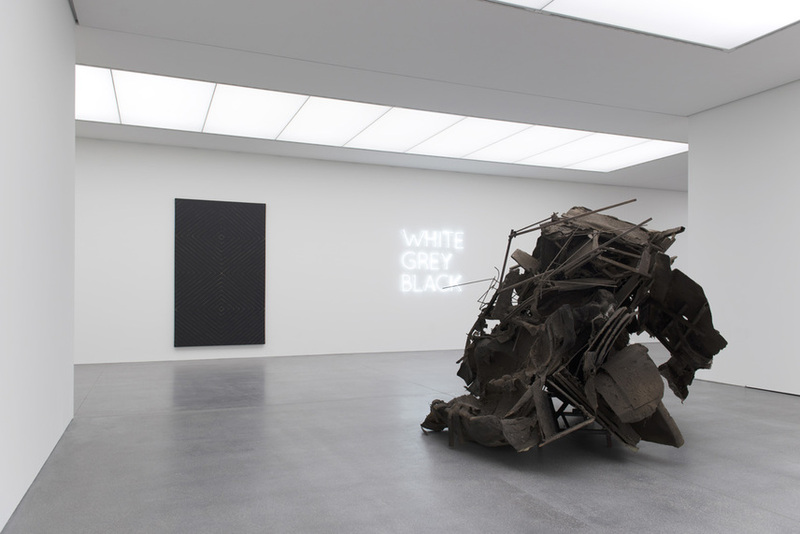 Installation view of ALWAYS DIFFERENT, ALWAYS THE SAME Photo provided by Bündner Kunstmuseum. Peter Buggenhout participates in the group exhibition ALWAYS DIFFERENT, ALWAYS THE SAME at Bündner Kunstmuseum featuring the following artists: Carl Andre, Art & Language, John Baldessari, Walead Beshty, Stanley Brouwn, Peter Buggenhout, Angela Bulloch, Hanne Darboven, Matias Faldbakken, Corsin Fontana, Wade Guyton, Bethan Huws, Iman Issa, Donald Judd, On Kawara, Yves Klein, Sol LeWitt, Piero Manzoni, Media Group Bitnik, Robert Morris, Charlotte Prodger, Ad Reinhardt, Michael Riedel, Robert Ryman, Jan Schoonhoven, Frank Stella, Sturtevant, and Rémy Zaugg. Placing minimal and conceptual artists of the 1960s with contemporary artists, this exhibition explores art through a systematic approach in understanding our society. For more information, please visit http://www.buendner-kunstmuseum.ch/de/ausstellungen/aktuell/Seiten/Immer-anders,-immer-gleich.aspx.